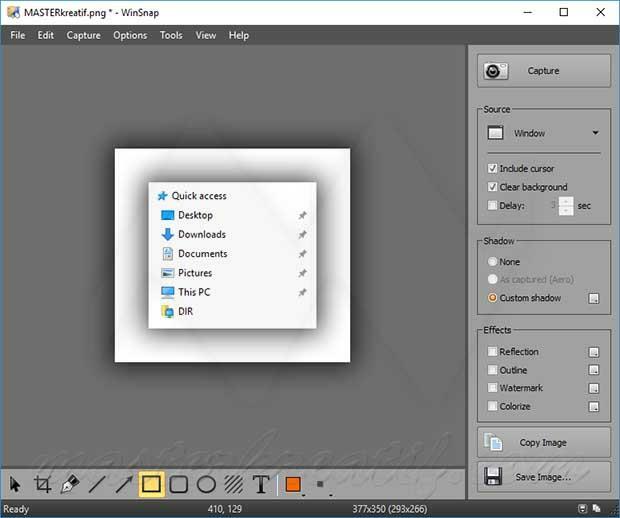 WinSnap is a small enhancement utility program for taking and editing screenshots with advanced options and flexible screen capture capabilities. It features easy-to-use hotkeys and capture options with lots of effect options inlcuding shadow, reflection, corner effect, outline, watermark, colorize, and more. WinSnap Portable allows you to customize the captured images, including changing backgrounds, coloring effects, automatic canvas transformations, and the addition of eye-candy drop shadows. It supports various image formats and has advanced auto-copy and auto-save features. WinSnap serves as a screen capture tool that simplifies and enhances the functionality of regular screen capture. WinSnap Full Version allows you to easily capture the various objects that appear on the screen, including areas popup menus, drop-down menus, context menus and other things that can not be done by other similar applications.